So the same champak(Kunal Deshmukh) who gave us magnificent hits like Jannat, Jannat 2 & Tum Mile, is arriving with perhaps yet another movie that might just make Amitabh Bachchan cry. From the trailer, I have a hunch that we won’t be needing to play any KBC to find out how well this movie’s going to turn out to be. I’ve high hopes from iconic actors like Paresh Rawal and Kay Kay Menon, but these are the same barely-paid actors who have done movies just to afford a bottle of tharra. Or a bottle of jadi-booti in Paresh Rawal’s case. Cinematography & direction seems weak. Music will probably end up being every Emran Hasmi-fandom being’s favourite caller tune for the next couple of years before Kunal Deshmukh delivers yet another hysterical movie. Story concept is no rocket science, so it really all depends on how the film moulds up to be. Doubt I’ll be catching this in theatres though. With whatever little ounce of faith I have left in movies, beer & humanityfood, I hope this movie does not turn out to be like the original Mr.Natwarlal starring Amitabh Bachchan, Rekha and Amjad Khan. The plots have little resemblance based on what I've seen in this trailer, but you never know. If not for anything, let's all chuck it and watch it for Deepak Tijori who is also in this movie. Why the blasphemy wasn't he in the trailer, I have no idea. Maybe the director played a game of Kabhi Haan Kabhi Na while deciding and poor Deepak, uski Tijori mein aaya Na. 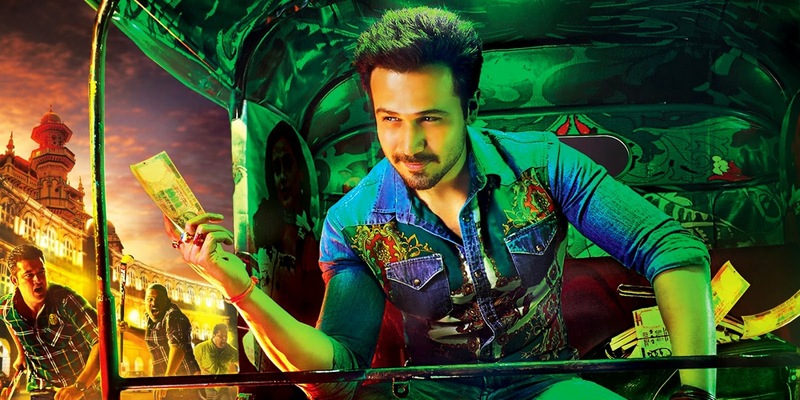 First Look Poster: Emran Hasmi starring in & as: Raja Natwarlal. Kuch bhi kaho, hotness toh hai.